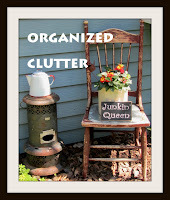 While my blog is usually about crafts, decorating, junking, re-purposing and flower gardening, I do post about of nostalgia too. After all I am a baby boomer and vintage collector too. I recently came across this little Women's Army Corps Booklet from 1944. It is in excellent condition. I enjoyed paging through it, and I thought maybe you would too. I have more vintage finds to share soon! Thanks!